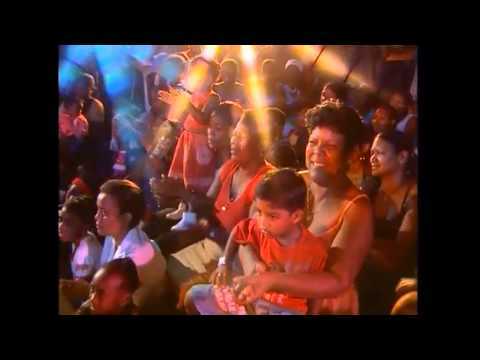 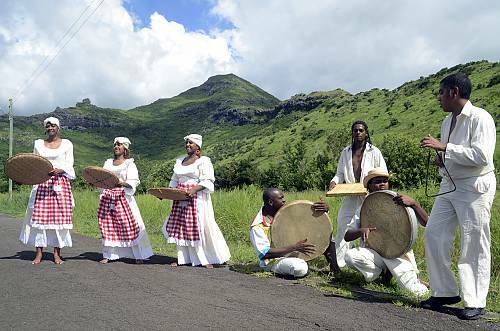 Traditional Mauritian Sega Tipik is a vibrant performing art, emblematic of the Creole community and performed at informal private family events or in public spaces. 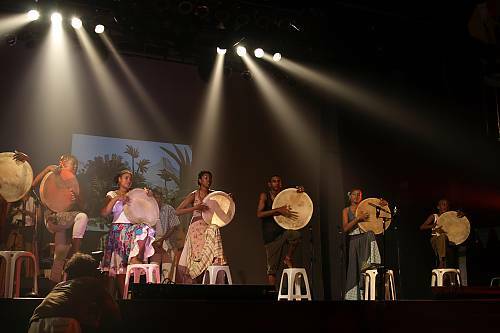 Songs sung in a minor key gradually increase in tempo, as dancers move their hips and hands to a percussive beat, using short steps to manoeuvre around each other in a variety of different formations. 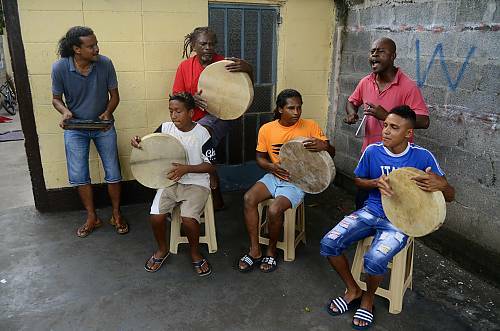 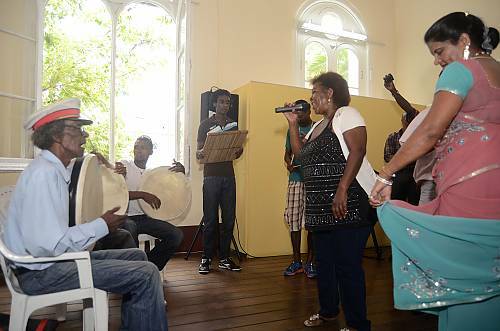 Each soloist improvises lyrics in the Creole language, sometimes blended with other languages, while a frame drum, box rattle and triangle keep time and produce the rhythmic beat. 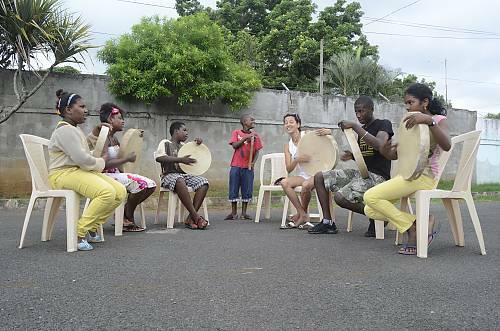 Sega songs can talk of love or address everyday challenges and concerns, with the meaning often enacted through the choreography. 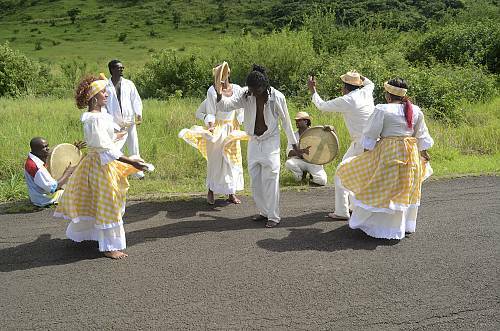 Traditionally, women dancers wear long skirts and petticoats while men wear rolled-up trousers, colourful shirts and straw hats, in memory of the dress of their ancestors. 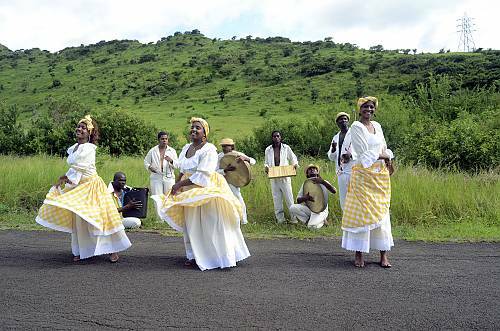 The main practitioners are the singers, dancers and musicians, who transmit their skills both formally and informally through participation and imitation. 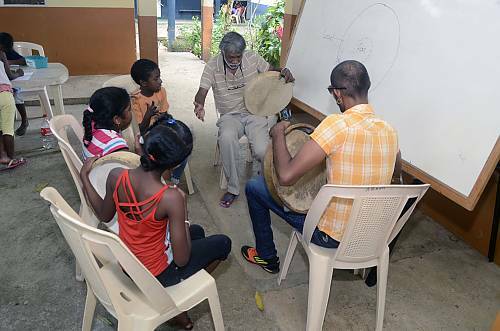 Some practitioners also make the instruments, and transmit their skills through informal apprenticeship. 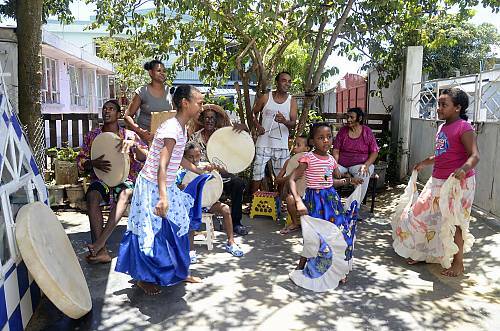 Representing the multiculturalism of Mauritian society, Sega breaks down cultural and class barriers, creates opportunities for intercultural encounters, and unifies various groups around a shared Mauritian heritage.